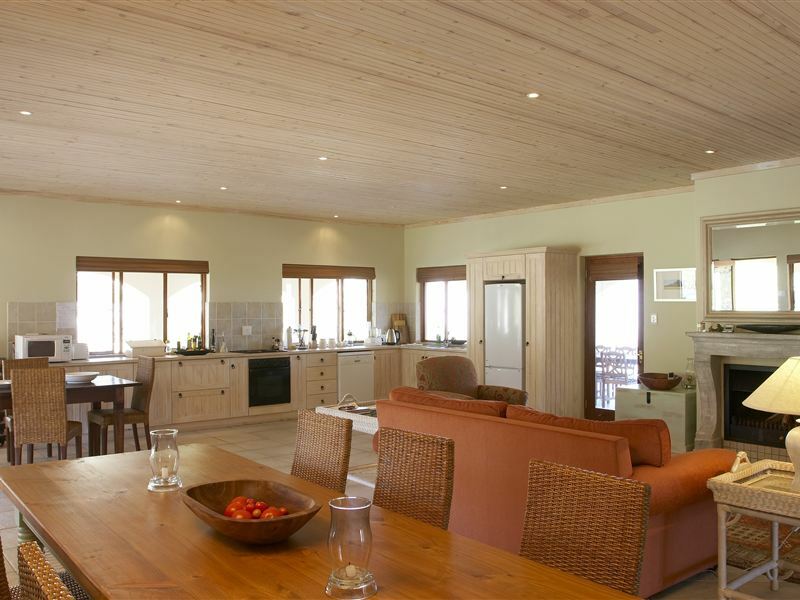 Barton Villas offer three Tuscan-style self-catering villas situated in the heart of the Kogelberg Biosphere Reserve near Bot River. There are stunning views from the villas encompassing the surrounding mountains, vineyards, olive groves and lavender fields to Walker Bay. 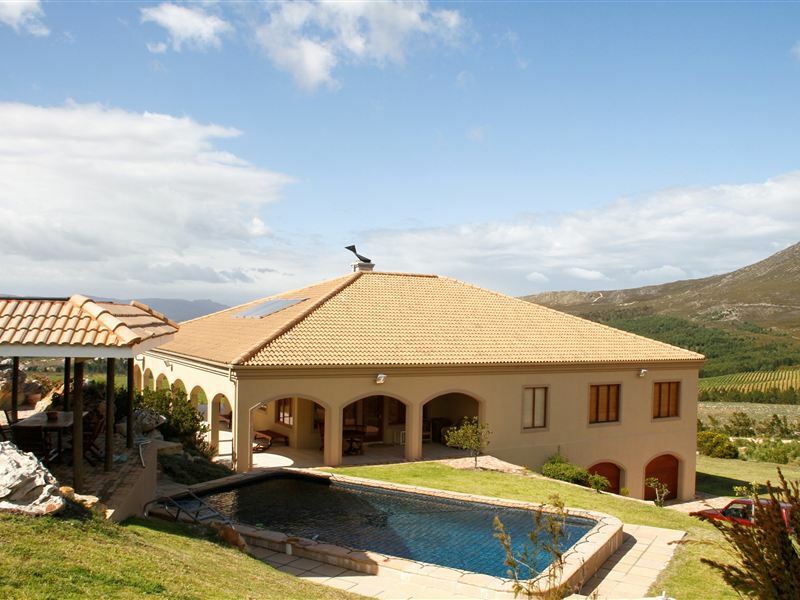 <br /><br />The villa has three double en-suite rooms, one twin en-suite room, an open-plan living area with an indoor fireplace, an indoor games area with pool table, table tennis, dartboard and an outdoor pool and Jacuzzi.<br /><br />The farm is just one hours drive from Cape Town International Airport and twenty minutes&apos; drive from Hermanus, providing a perfect base from which to explore the Western Cape. "Once all the lights are off and you sit completely relaxed in that jacuzzi the view of the stars are unbelieve, truly beautiful house, with beautiful experiences. Would recommend to anyone"
"Everything was amazing. From the time we arrived until we left. It felt like you had a peace of paradise just for yourself." "Perfect weekend getaway. Spacious, luxury accommodation, easy check-in and very friendly and helpful hosts. Will return without a doubt." "We had a wonderful stay at Heron Villas. The villa has everything you&apos;d need for a great relaxing break. Jacuzzi, pool table, table tennis and a lovely roaring fireplace for the colder evenings. We&apos;ll definitely be back!" "Most wonderful weekend at Barton Villas. Their hospitality is fantastic, well organised. The villas are well equipped and the surroundings are lovely.Truly an absolutely amazing gem of a place." "Barton Villas is a real gem tucked away in some of the most beautiful scenery in the country. The villas are tastefully decorated and tuscan themed and very spacious in design. The privacy each villa offers is a real bonus as each villa has its own pool, jacuzzi and play area that are all well kept. The staff are friendly are accommodating. All in all this is the perfect location for a family holiday out of the hustle and bustle of a bigger town. It&apos;s certain to leave you with many many fond memories. Its relaxing, rejuvenating and inspiring. Don&apos;t think twice. You&apos;ll enjoy it!"